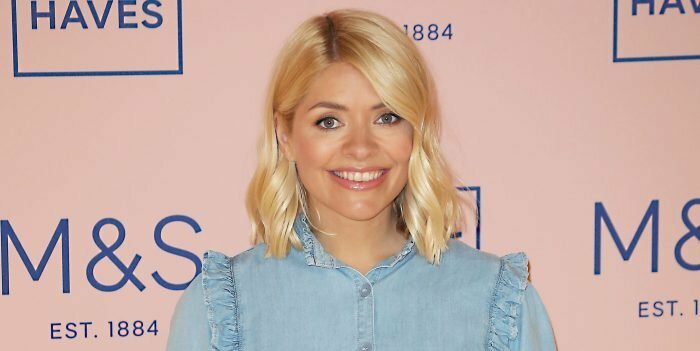 Holly Willoughby and Phillip Schofield have apologised after fans criticised them for moaning during a fashion segment outside. 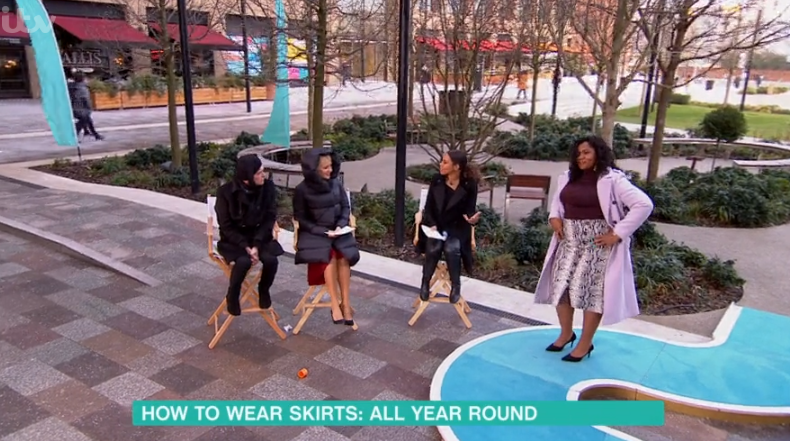 During Thursday's show, the duo wouldn't stop complaining about the "stupid idea" to film outdoors in the cold, despite being wrapped up, during the 10-minute segment and viewers weren't impressed. Holly, 37, had even swapped her jacket for a puffer coat that Phil said looked like a duvet. And now, the pair apologised for their antics and praised Rochelle Humes for holding the segment together in a "professional manner". The show's official Twitter page shared a clip of Holly and Phil speaking about the segment. Speaking about the segment being in their "best bits" for Thursday, Holly said: "Well, I mean Best Bit isn't necessarily our Best Bit because we had to go outside for fashion today and we weren't that keen to do it because it was so cold out there!" Phil cut in: "Oh you get telly coats, you're given telly coats. They look lovely on telly but the [wind] goes straight through them." I think we should apologise and thank Rochelle for holding that together in such a professional manner. Turning to Holly, he said: "You brought your own coat." Holly replied: "Well this is my coat that I come in in the morning, so why everyone was laughing at it I don't know." Phil quipped: "You're wearing a duvet, I had to put tights on my head! "Never in my life did I think I would sit outside Television Centre, live on television to the This Morning audience, with a pair of thermal tights on my head!" Holly replied: "I think we should apologise and thank Rochelle for holding that together in such a professional manner." Phil said: "Yeah, actually she did very well," to which Holly added: "Thanks Rochelle." It comes after viewers criticised Holly and Phil for complaining about the cold. One person wrote on Twitter: "#thismorning that last segment reveals how pampered Phil and particularly Holly are..really?? That hard was it to sit in the cold for 10 mins was it?" #thismorning that last segment reveals how pampered Phil and particularly Holly are..really?? That hard was it to sit in the cold for 10 mins was it? Another ranted: "A second commented: "You know you're stuck up when you can't spend 10 minutes in the cold #thismorning." And a third tweeted: "Phil & Holly braving the cold weather to join Rochelle outside for the fashion item. Surely they are a dead cert for next year's Pride of Britain Awards #ThisMorning." What did you think of Holly and Phil's antics? Leave us a comment on our Facebook page @EntertainmentDailyFix and let us know.